Is a Solar Water Heater a Good Option in Oahu, HI? Over the past few years, solar power has gained immense popularity amongst homeowners. Everyone is looking to utilize the power of the sun and enjoy increased savings and efficiency each month. Now, you’re considering a solar water heater in Oahu, HI, right? You’re certainly not alone. Countless homeowners and local businesses have found themselves thinking the very same. Is it a smart investment, though? 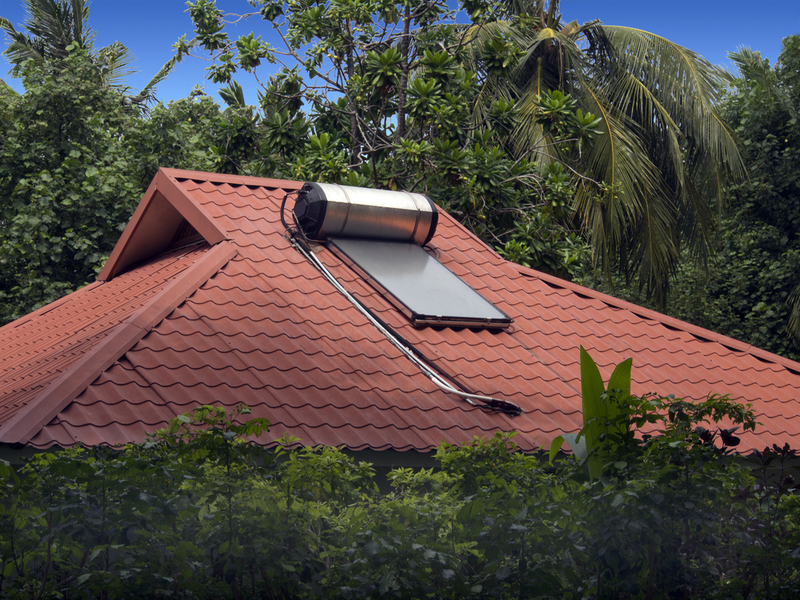 Let’s break down solar water heaters and how they can help the island. A solar water heater includes two primary components: storage tanks and solar collectors. Now, there are two primary types of solar water heaters including an active system, which uses a circulating pump and controls, and a passive system, which does not. Direct Circulation Systems – These units pump household water through the collector and directly into the home. These systems are optimal in warm climates. Indirect Circulation Systems – Such units are utilize a non-freezing, heat-transfer liquid through a collector and heat exchanger. The heated water then flows through the home’s pipes. This system is ideal for cold climates. Integral Collector-Storage System – This type of passive system works best in regions where the temperature rarely, if ever, falls below freezing. They also work best for households with daytime or evening hot water needs. Thermosyphon Systems – Water will flow directly through the system, as warm water rises to the surface and cool water sinks. The collector should be installed directly below the storage tank, so the warm water rises properly. Such a system is reliable, provided the unit is professionally designed and installed for optimal performance. Let’s now discuss the advantages of a solar water heater in Oahu, HI. You’ve likely been waiting for this portion. The benefits of such a system are usually the deciding factor for most homeowners. You have access to free energy, which is abundant. Solar thermal panels require less space, with just 2-3 panels required per household. Solar water heating is more efficient, with approximately 80% of radiation turned into heat energy. Solar paneling is cheaper to install. You’ll save money on your monthly water and energy bills. You lower your carbon footprint extensively. You can claim renewable heat incentives and tax breaks, depending on the area and your solar efficiency. Of course, even with such extensive advantages, a solar water heater requires annual maintenance. A professional plumbing technician should be hired routinely to handle maintenance work. The system may require work on the pump and an antifreeze top-up on occasion. Schedule priority solar water heating services in Oahu, HI, with Emergency Plumbing & Solar. We provide the top services in the region for homeowners like yourself. Give us a call at 808-691-9309 today! Is a Solar Water Heater a Good Option in Oahu, HI? Overall rating: 5 out of 5 based on 10 reviews.